More than three decades ago, Ridley Scott’s 60-second ad for Apple, “1984,” shook up advertising forever and helped establish the Super Bowl as a destination for the most ambitious marketing campaigns. Now, the Oscar-nominated director of Alien and Gladiator wants to rewrite Hollywood’s marketing playbook. With his latest release, 20th Century Fox’s The Martian, Scott went beyond the usual mix of trailers and TV spots, producing, with his content marketing agency 3AM, digital shorts that immersed audiences in the world of the film. At the same time, it was important to “bring brands in early enough [so the agency] could make sure that their brand story fit with the story that we were telling,” said Jules Daly, president of RSA films and 3AM managing partner. An ad created in partnership with Droga5 and Under Armour centered around The Martian’s main character (played by Matt Damon). Meanwhile, National Geographic Channel devoted a mini-episode of its StarTalk with Neil deGrasse Tyson to the movie’s Mars mission. Scott talked to Adweek about marketing the modern blockbuster and whether he would ever do another Super Bowl commercial. 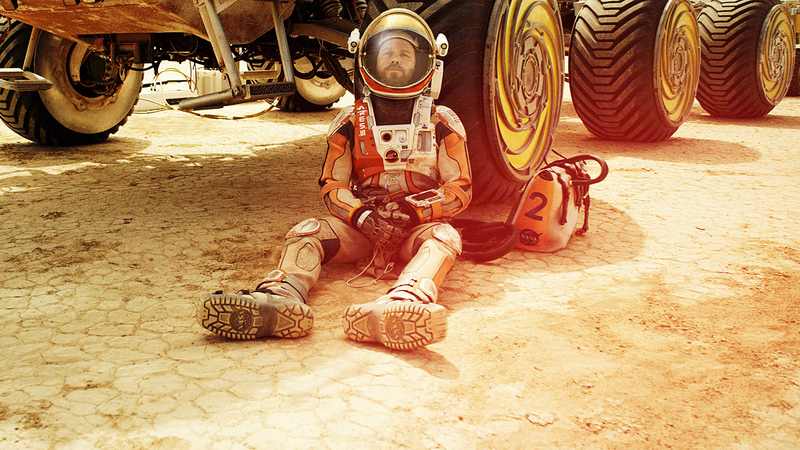 Adweek: Marketing for The Martian included elements that aren’t typically part of a film’s promotional push. Why is that? 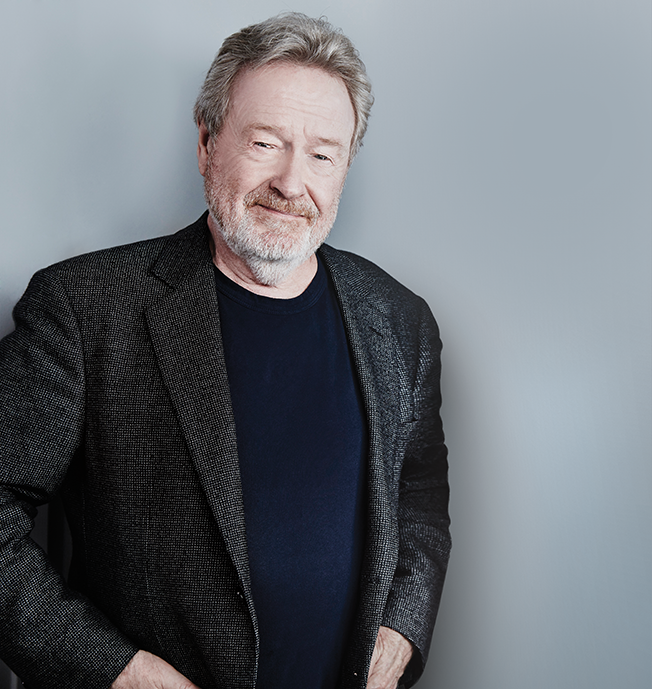 Ridley Scott: Well, what we’ve had with The Martian was an incredible palette between the drama, the humor, the visuals, the amazing cast and the reality of the situation. We always want to find a way for people to dig into all of this, to understand the arena they’re going to experience and find out what’s in store before you get to the theater but without spoiling the story. There’s nothing worse than a three-and-a-half-minute trailer that shows the whole story. We did a series of short films on Prometheus and The Counselor, and those two experiences, to me, seemed to be a very sound way of beginning an advertising campaign and creating awareness. I’ve frequently found that if you start too soon with trailer materials, you run out of things to say. I think now, with all of the new technology available to the audience, saying the right thing at the right time is more important than ever before. And if we can achieve all of this with a mind toward finding fundamentally new ways to tell or extend our stories, I think that’s where success lies. What does its success mean for directors and movie marketers? I’ve always found film advertising to be very difficult. Going back to Alien, I’ve tried to work with people that can think unconventionally about these problems and, most importantly, that understand directional thinking. This is the same approach I carry through the filmmaking process. You have to find the central idea and not drift from it. I think the earlier we can start to define our marketing goals and have those inextricably linked to the core idea of the film, the more powerful the advertising can be. And I think the complexity of advertising a film today is so problematic, you need to have highly creative people involved early enough that can solve all of this. So do you think we’ll see more experimental marketing for films? I don’t see why not. There are massive changes happening in entertainment at the moment, and we need to find new ways to get our content in the hands of the audience and get them excited to come out to the theater. I don’t think the answer is putting out five trailers and giving away the entire story. People don’t want to be bullshitted. Show me what I’m going to get in the theaters, but entertain me, and try to be clever about it. That’s all they have time for. Where do you see branding and the film business intersecting in the future? There has always been a relationship between advertising and film. Why shouldn’t that continue to evolve? I think both of these worlds keep moving closer together, and the audience has more power in choosing what they want to spend time with, so it better be good. Films are an excellent way to connect with people through something they care about. Your “1984” spot for Apple has been credited with changing how consumers watch the Super Bowl, that it could be something to watch for the ads. What are your feelings about that ad now? I’m proud of that spot. It all came from a single idea and the decision to not just feature the product but to communicate what Apple stood for. It was my job as the director to interpret that and deliver it as visual entertainment. All of the best advertising to me feels like entertainment. I look at commercials like films. That’s how I made them. It was a formidable approach … still is today. It’s all about great writing and great entertainment. Nothing like great writing. Would you ever want to do another Super Bowl spot? I would love to do a Super Bowl spot again. It would have to be epic on every level. Oh, there are so many. I’ve always loved the medium [of advertising]. I do love “Just do it.” Great copy and a great life message. As I said before, great writing.